Jakarta, April 29th 2015 – Archipelago International, Indonesia’s fastest growing hotel group, has recently celebrated the grand opening of its 100th hotel in Indonesia - the new Aston Anyer Beach Hotel. In supporting Earth Day on April 22nd, Aston Anyer has donated 30 trees through Perum Perhutani to be planted at Anyer’s local conservation area. The trees were named after the media who attended Grand Opening event. Anyer is a small town situated on the edge of the Sunda Strait, Cilegon – Banten Indonesia. It has become one of the most popular destinations for both business and pleasure among Jakarta and West Java’s residents thanks to its convenient location 50km from the port of Merak and within close proximity to Cilegon – a major coastal industrial city famous for its thriving factories and trading opportunities. “Aston Anyer aims to become the area’s best in class hotel, as it affords a number of facilities and amenities that aren’t typically found in this area. The hotel will cater to both leisure and business travelers, since many families escape the big city to the Anyer coastline for the weekend, whilst business guests often schedule mid-week conferences. 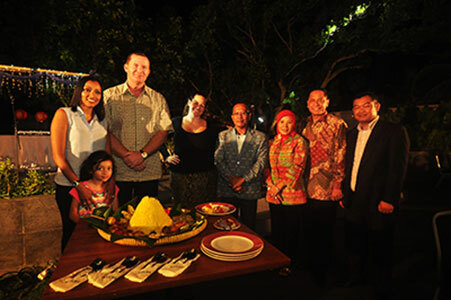 Aston Anyer has already established itself on the radar of business travelers flocking to the bustling industrial city of Cilegon, and we are delighted to be offering Aston Anyer Beach Hotel as a MICE destination to cater to this market.” Said Ms. Tenaiya Brookfield – VP of Sales & Marketing of Archipelago International. 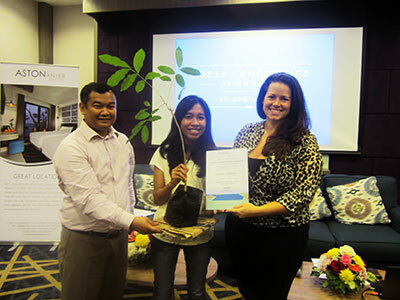 Seen in the image from left to right : Mr. Doddy Fathurahman as General Manager Aston Anyer Beach Hotel, Ms. Jessica as one of the media representatives, and Ms. Tenaiya Brookfield as VP Sales & Marketing Archipelago International during the symbolic submission for tree plantation at Anyer’s local conservation area.